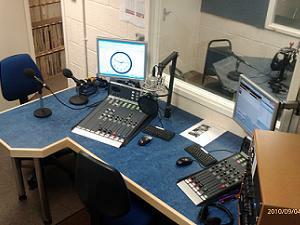 Hospital Radio Bedford | HRB Celebrate 22 years in our current studios. On 29th September 1995 Brian Woodrow the then High Sheriff of Bedfordshire opened Hospital Radio Bedfords studio complex at Bedford South Wing Hospital. 22 years later, and coincidently the week Radio 1 celebrated it’s 50th birthday, Brian returned to the studio with Deborah Inskip and Dr Rob Oakley Chairman and Vice Chairman respectively of the Bedford Hospitals Charity, to see the continued service HRB provide to entertain the patients of Bedford Hospital. 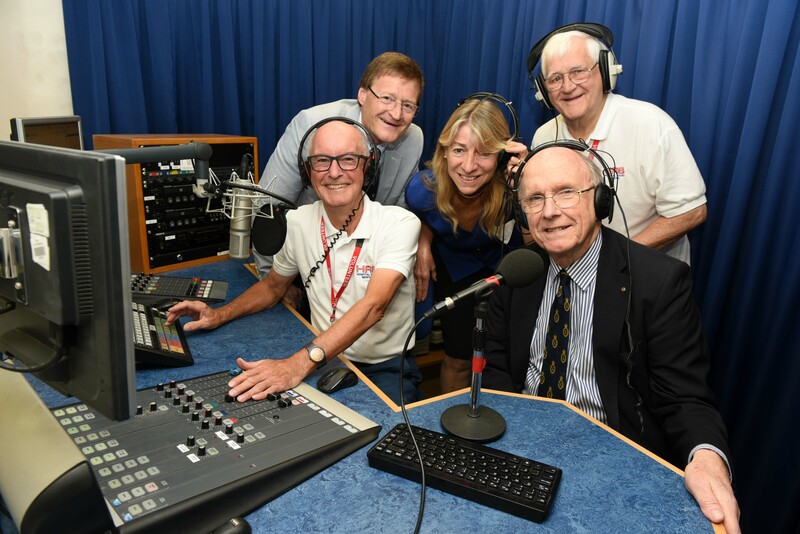 Geoff Clark Chairman of Hospital Radio Bedford said “It was a pleasure to welcome Brian again to our studios, and to hear of the fund raising activities and projects carried out by The Bedford Hospitals Charity, which was started by Brian. It’s amazing that the charity has raised over 10 million pounds for hospital projects, the largest of which was the Primrose Oncology Unit which was completely funded by charitable donations. Brian also kindly agreed to be interviewed about the work of the charity which will be broadcast on HRB.